Keep your Apple devices up and running as Power Mac Center’s Apple Authorized Service Provider (AASP) is offering “Tune Up Express,” a complete iPad and Mac maintenance program. For the whole month of July, customers get to avail of total tune ups for Apple devices at special discounted rates of up to 60 percent. 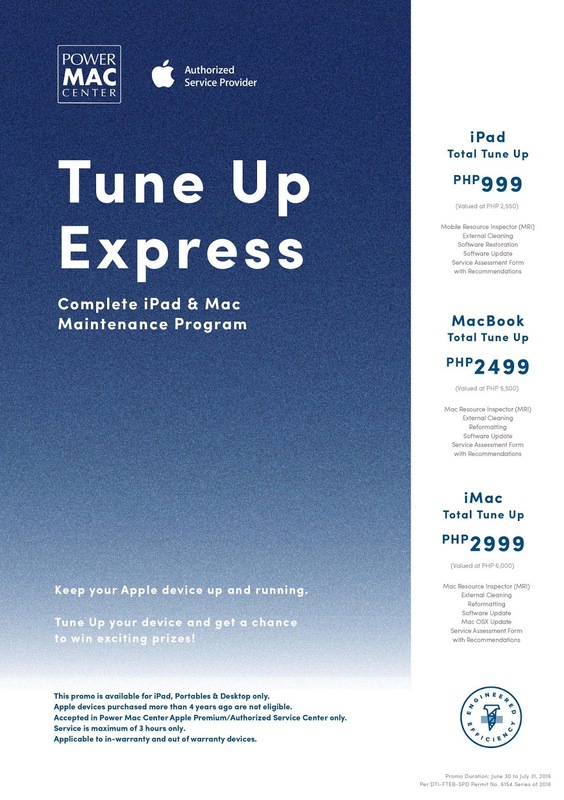 Services include Mac/mobile resource inspection, external cleaning, reformatting, software restoration/update, and service assessment with recommendations, packaged for the iPad (at P999), MacBook (at P2499), or iMac (at P2999). The promo is applicable to both in-warranty and out of warranty devices, except those that were purchased more than four years ago. Customers who will purchase any of the Tune Up Express services are also entitled to join the raffle for a chance to win premium products. Raffle entries are accomplished in-store. The promo period is from June 30 to July 31 and the draw will be held on August 1, 2016. Winners will be notified via registered mail and the contact details they provided. More information about the program may be obtained by contacting Power Mac Center at (02) 725-4PMC (4762) or via email at serviceupdate@powermaccenter.com. 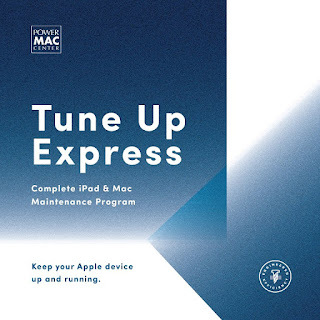 Details on products and services are available at the website <www.powermaccenter.com> or in their Facebook, Twitter, and Instagram accounts.